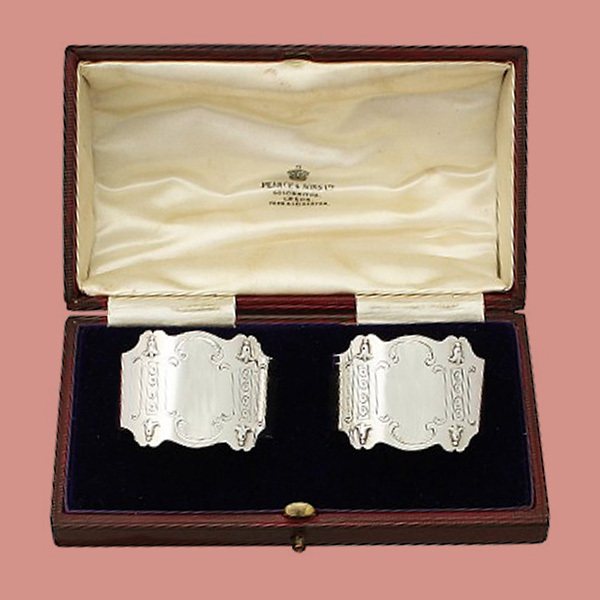 Silverware has long been considered the perfect choice for a christening gift, due to its durability, the nature of the precious metal, and the option to engrave the piece to further personalise it. 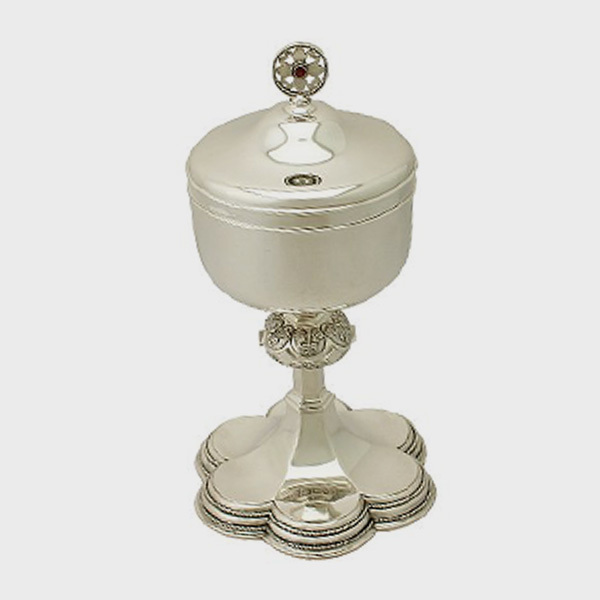 There are many gifts which are considered to be traditional for a christening, including spoons, mugs, bowls, photo frames, napkin rings, as well as trinket boxes of all descriptions. 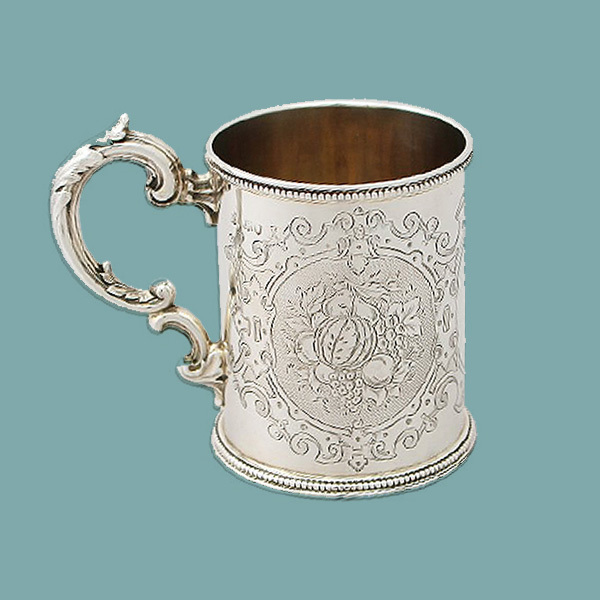 Christening gifts are usually meant to last the child’s entire lifetime, hence the suggestion of silver as an appropriate material – rather than a gift of a less durable material. 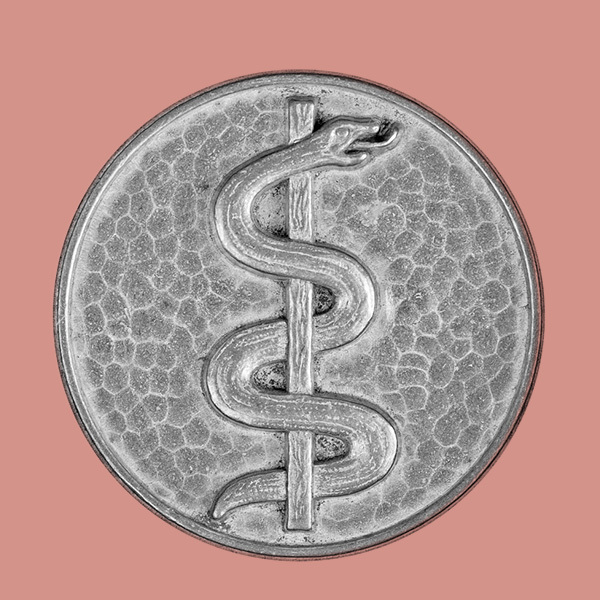 Silver may also have been considered the perfect choice for christening gift due to the perceived benefits of silver as a precious metal; Silver is still used in homeopathy today, and it is thought to speed up the process of healing. 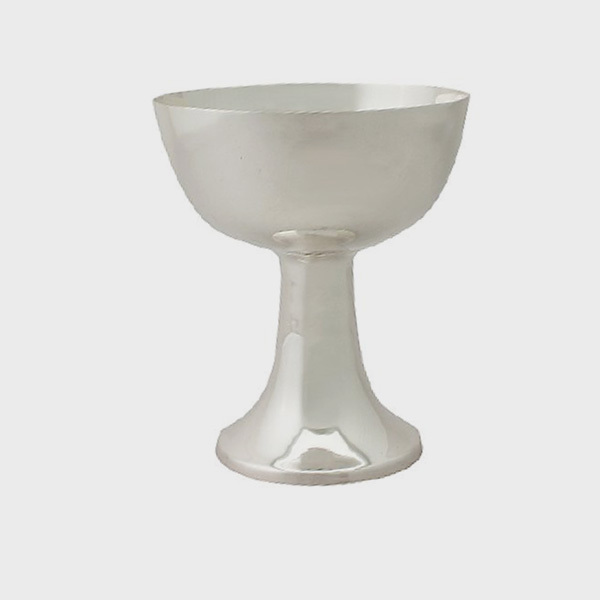 When choosing a christening gift, it is important to consider the gift as a piece which is a token of your affection and well wishes for the child- silver has a determined value, and is not only a memento, but a small investment piece for the child to own and cherish. 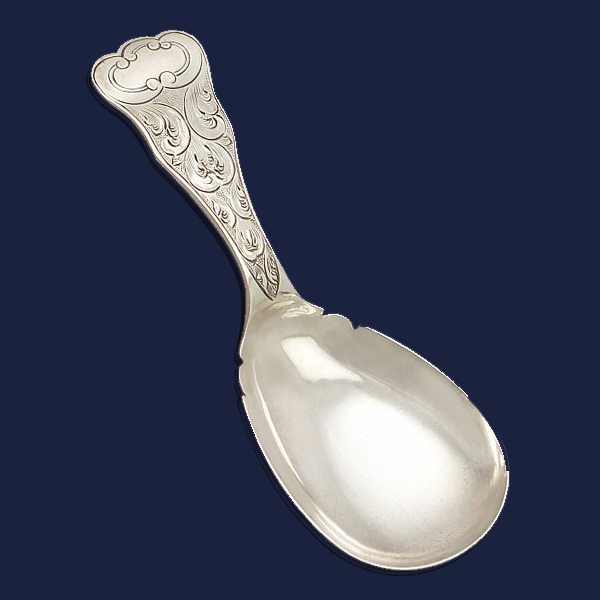 Contemporary examples of christening gifts include the silver spoon which Prince George was given, and although this may pale in comparative value to some of the more extravagant gifts that he received, this one surely is the most traditional, and befitting the occasion. 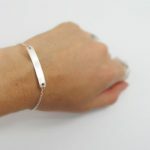 The precious nature of silver also symbolises prosperity and wealth, therefore by giving a gift of silver, we are giving a gift which is imbued with the promise of financial security and wellbeing. 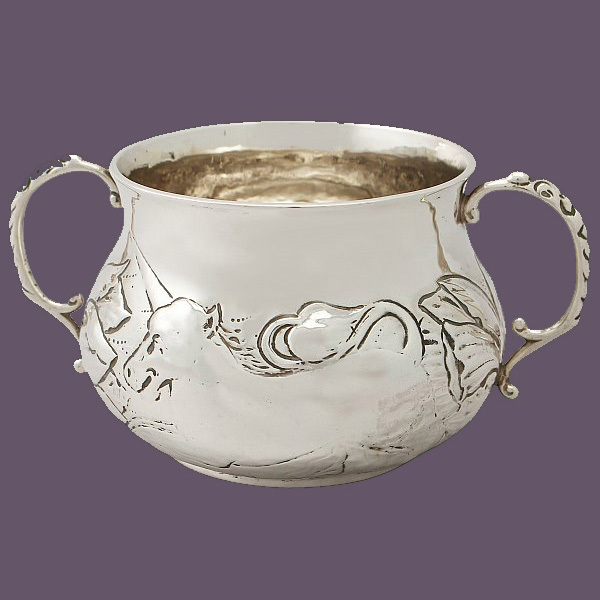 Choosing a silver christening gift also has the benefit of the item being beautiful enough to be put on display for a lifetime, as silver fits in seamlessly with all styles of home and types of interior design. 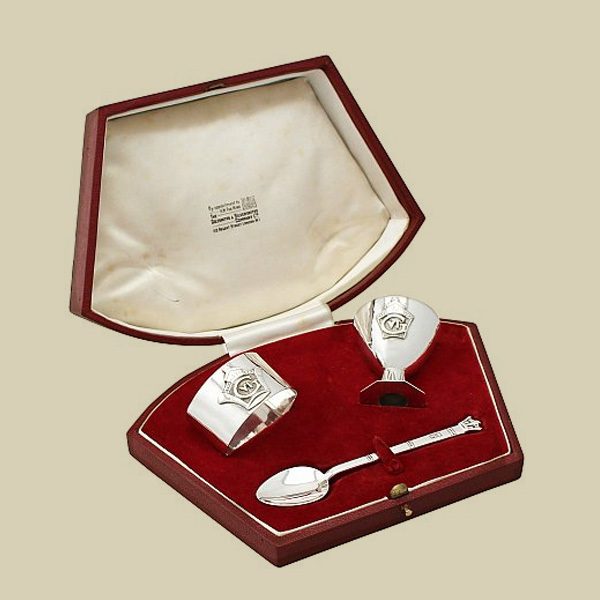 Silver christening sets are usually comprised of a small spoon, napkin ring and egg cup, with some slight variations and additions depending on the age and the style of the sets. 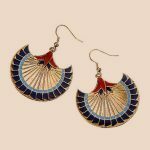 These sets have the benefit of not only being in stunning original presentation boxes, but also featuring three traditional gifts in one package! 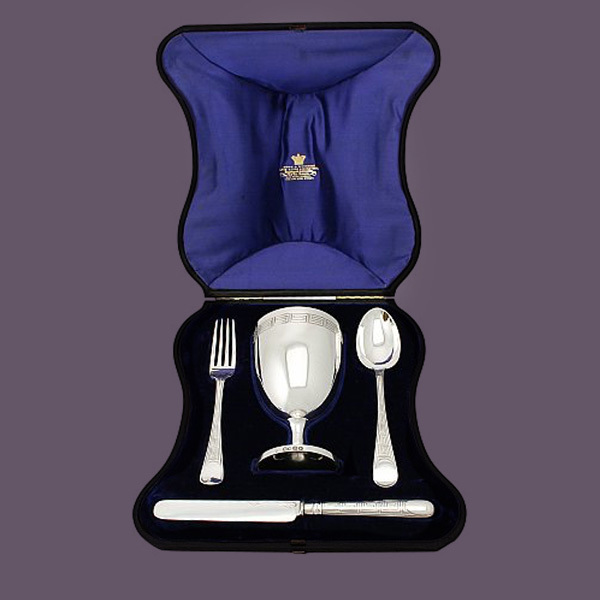 With this spectacular set from Harrods- still displayed in its original presentation box- there is also a ‘food pusher’ – its arcane name which suggests a less than gentle approach to infant nutrition, however it simply refers to a set of rounded tongs which would grip the food in a far more effective way than a fork or spoon could. For a child to be born with a silver spoon in their mouth is to suggest that they have been lucky enough to have been born into a wealthy family, and this saying is said to have originated from the Tudor times, when wealthy families would buy a set of twelve spoons featuring the apostles of Christ, whereas slightly less well-off families may give their child a set of spoons baring the images of Matthew, Mark, Luke and John. Lesser families would give a single spoon baring the name and image of the saint which the child had been named after. Caddy spoons are larger and flatter than traditional teaspoons, which makes them perfect for use (or simply display) with a small child. 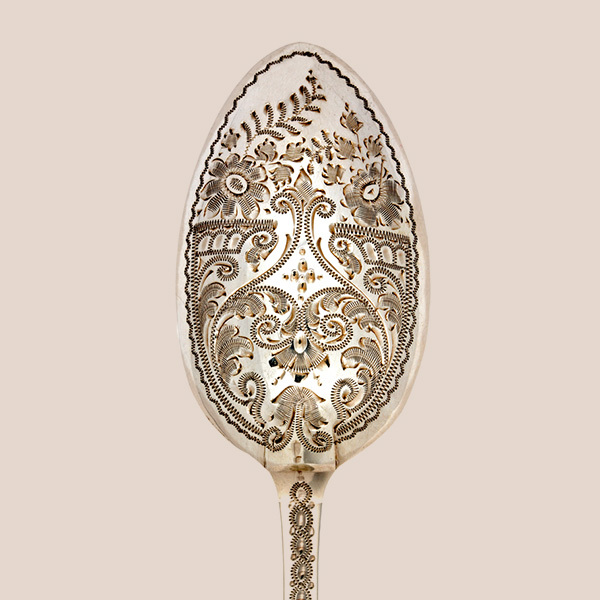 These spoons are often in novelty shapes, as they were originally created for use in measuring loose tea. 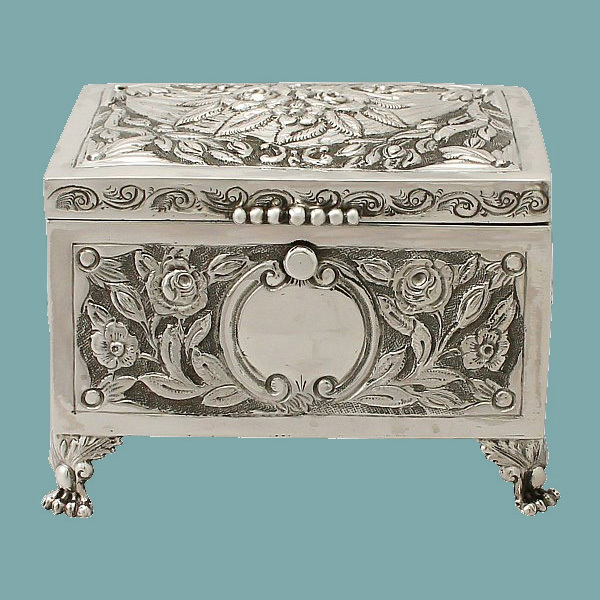 Silver boxes and cases make an ideal christening gift, as these can be used for a lifetime by the child or their parents, and will be both useful and attractive. The child can keep its own precious toys or objects of affection in a specific, special place and always remember the person who gave them such a personal gift. 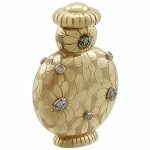 Often, the child’s first tooth can be kept as a keepsake and this will be the perfect gift which will hold sentimental treasures such as this. 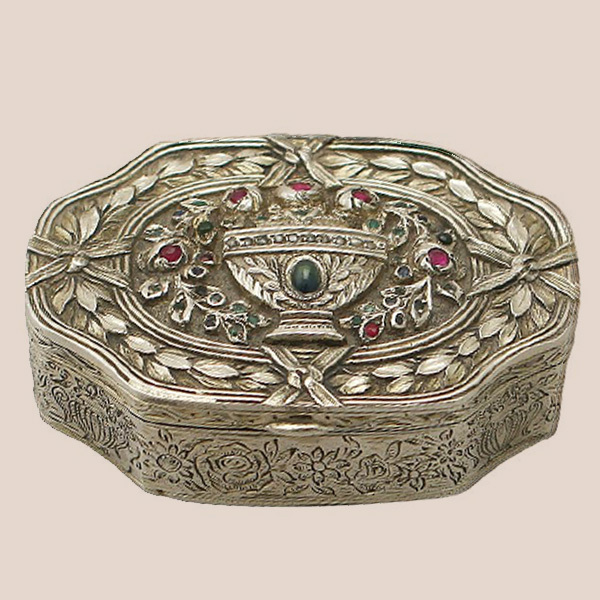 Our stunning example of a miniature music box is incredibly rare and unique, and features an incredible outer decoration of guilloche enamel and marcasite. 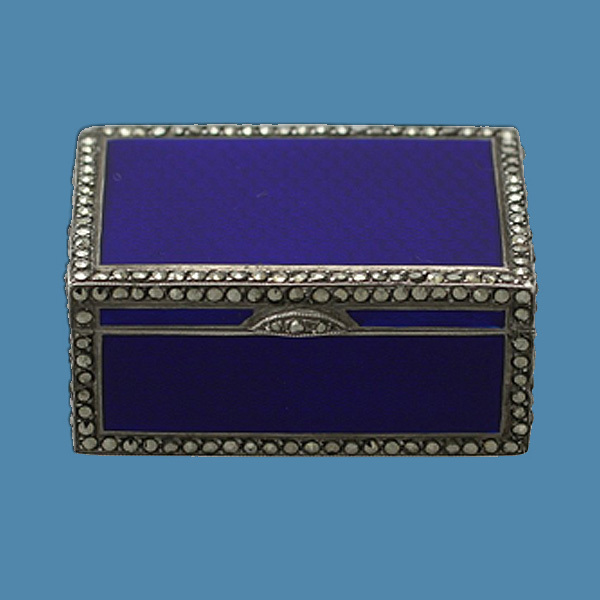 This music box is a miniature trinket which still plays a delicate tune and is sure to delight any child and their parents alike. 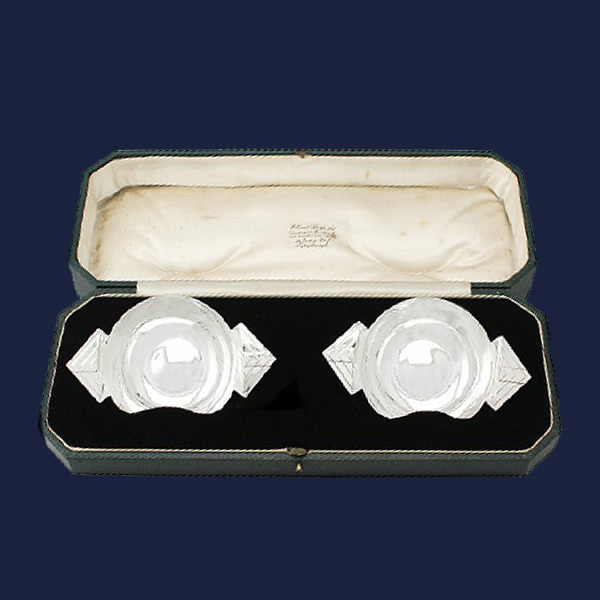 Napkin rings became a traditional gift during nineteenth century France, where it was of the utmost importance that each member of the family had their own napkin which remained separate and could be identified. This tradition is still continued in the upper classes of modern French society today. 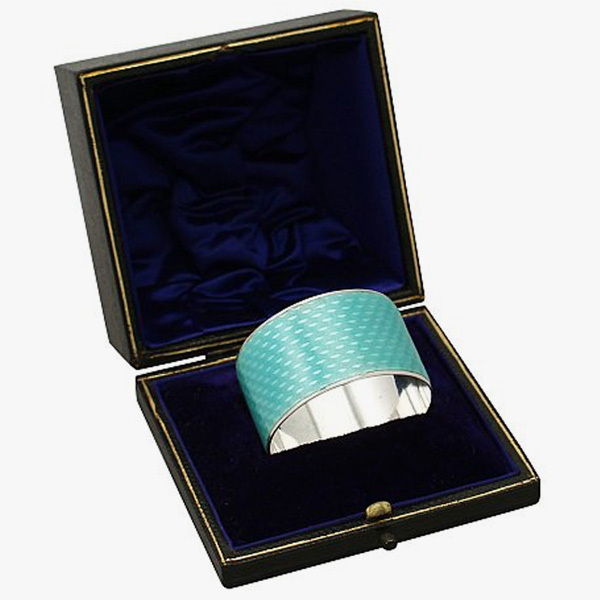 Therefore, giving the gift of a napkin ring symbolises the introduction of the baby into the family, as they now have their own place at the dinner table, and therefore their place within the family. 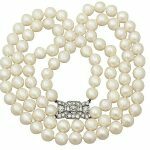 The nature of this custom means that napkin rings were always engraved with the child’s name or initials, as the primary purpose of the napkin ring was identification. 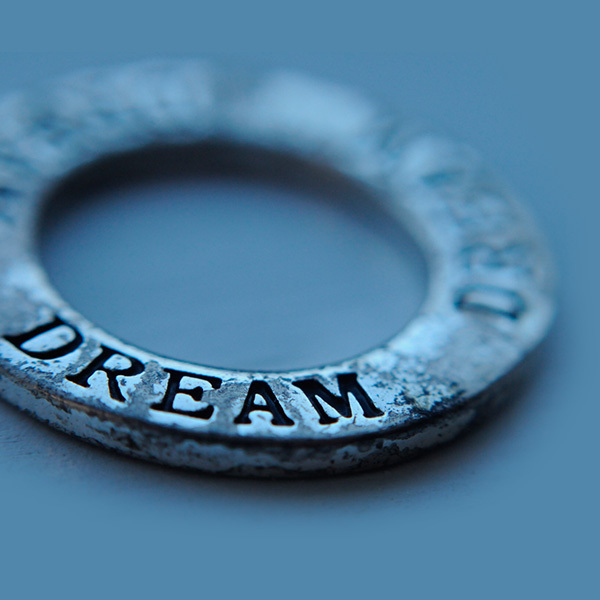 However, in modern times it is rare for anyone at the table to have or certainly use a napkin ring, and therefore engraving is no longer a necessity. 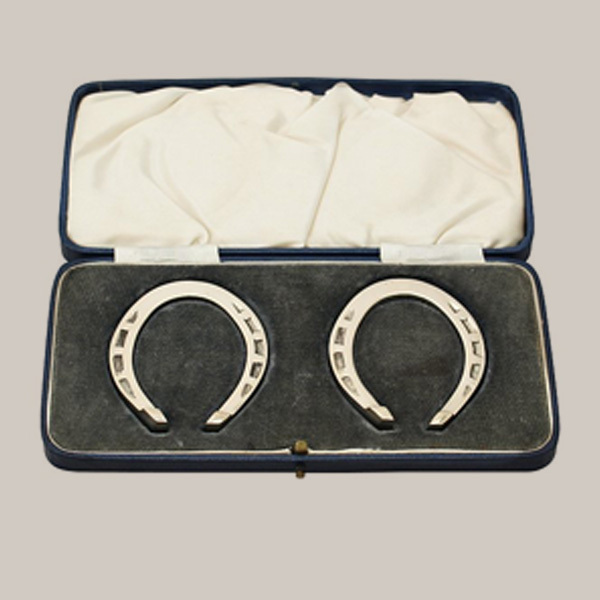 This delightful set of horseshoe napkin rings combines the institution of giving the gift or a napkin ring for a christening, with the well renowned good luck symbol of horseshoe. 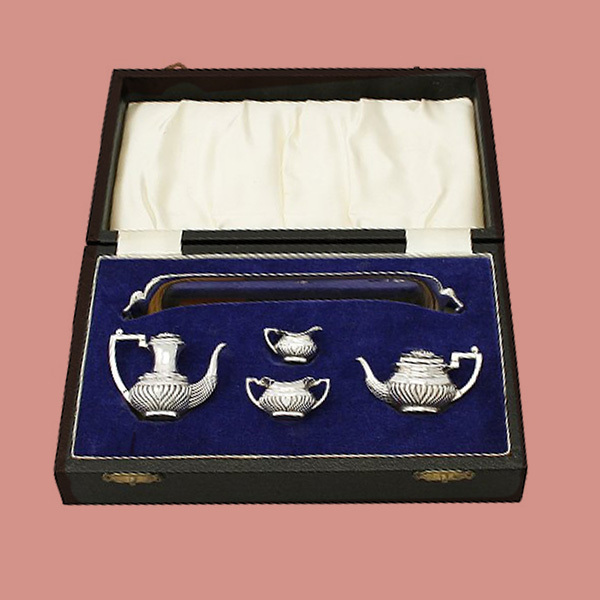 This set also includes the original presentation box, which makes the gift all the more spectacular upon receipt. 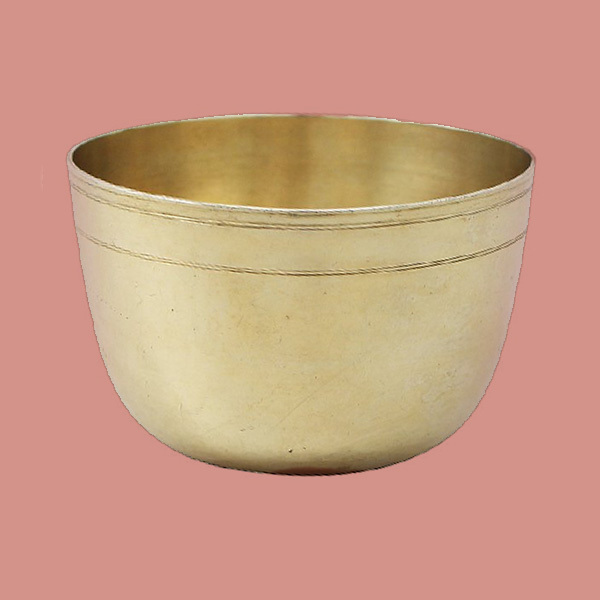 Porringers and bowls make wonderful christening gifts, as they are dainty enough to be used by the young child, but are also a perfect keepsake to demonstrate to the child as he or she grows, the size that they were as a baby. Though many who have their children christened in more contemporary times often admit to having little affiliation with the more rigorous religious aspects of the ceremony, the gifts which are given to mark the event have stayed largely the same for centuries. 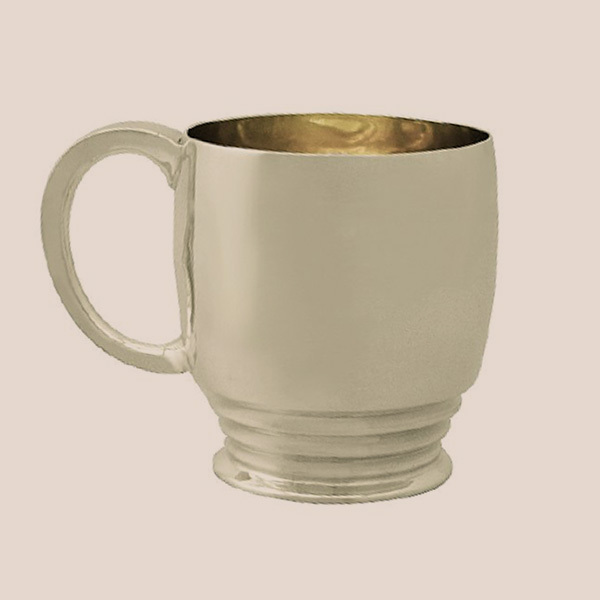 The cup or mug is also thought to represent the young infant – the empty vessel mirroring the child which is hopefully to be filled with god’s love and faith in Christianity. 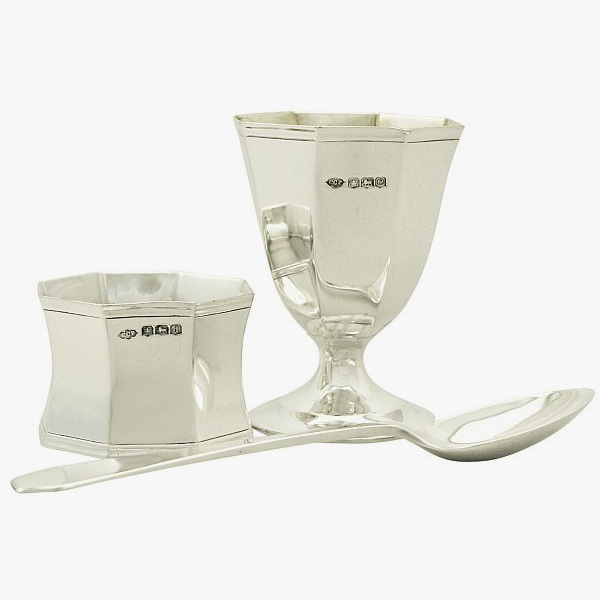 Communion and chalice sets make the most fitting gift for the religious element of the christening ceremony, as they are pieces which are intended for use in the later religious ceremonies in the child’s life, or at one time the cup which was specifically made for each child would’ve been the cup which was used to pour the holy water across the baby’s head. Miniature items make for adorable christening gifts, as not only are these pieces as dainty as the infant itself, they are a piece that can be played with as part of a dolls house or miniature set while the child is growing, and will be a far more hard wearing choice than plastic or wood! 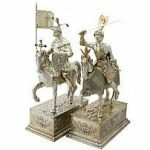 Antique Silver Christening gifts are especially precious and prized, as their significance and grandeur is evident in the history and the value of the piece. 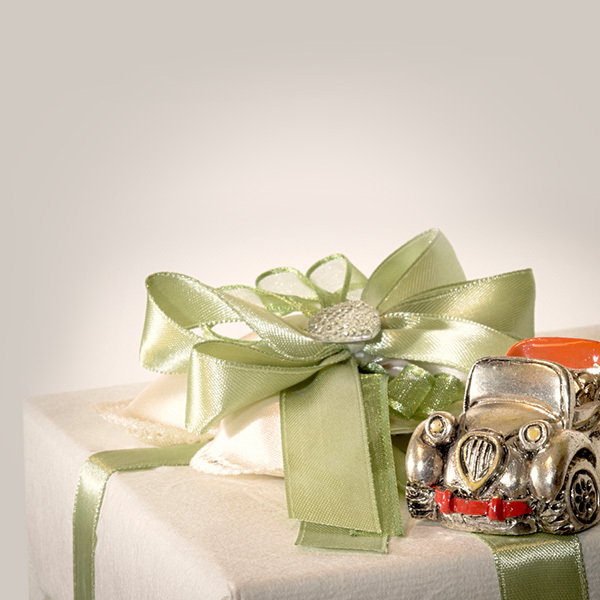 Whether you are looking for a gift which will be loved and used every day, or a gift which is only used on formal occasions and saved for later in the child’s life when they can appreciate its beauty and worth, and understand the love and consideration which was put into its choosing – a silver christening gift is the most traditional and exquisite choice. What is the Perfect Christening Gift? Previous Entry: What is a Trump Indicator/ Trump Marker?